Fornite v7.30 has released, adding a few new things to the game and making adjustments to the game’s limited time mode. Starting with the items, players now have access to a bottle rocket launcher. All they need to do is place the thing on the ground, light the fuse, and watch it go. It’s a great way to damage your enemies without having to actually worry about things like aiming. Speaking of taking damage, the update also adds a new environmental campfire. Not only is it nice to look at, but it’s also actually functional. Players sitting around it will heal nicely — likely provided they don’t stay there too long and make a target out of themselves. As for the limited time mode changes mentioned above, Epic is now testing a new schedule for LTM, with playlists rotating every few days to give players more variety. Right now, the mode is Wild West Duos. 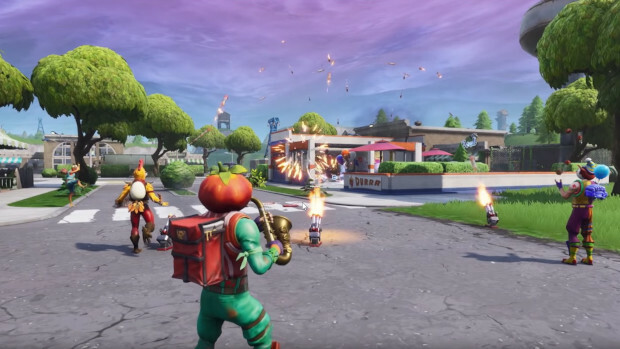 Players use a limited set of weapons — Hunting Rifles, Shotguns, and Dynamite in a Victory Royale fight. Patch notes for the latest update are available on the Fortnite site. If you’re interested in checking them out, or want to know what’s happening in Save the World or Creative, be sure to hit them up.